In this inexplicably beautiful picture we see hundreds of boats floating in the sky. If you stare too long at the photo, you might end up feeling dizzy or come to a more logical and technical perspective of this. Isn’t that a confusing outlook?? 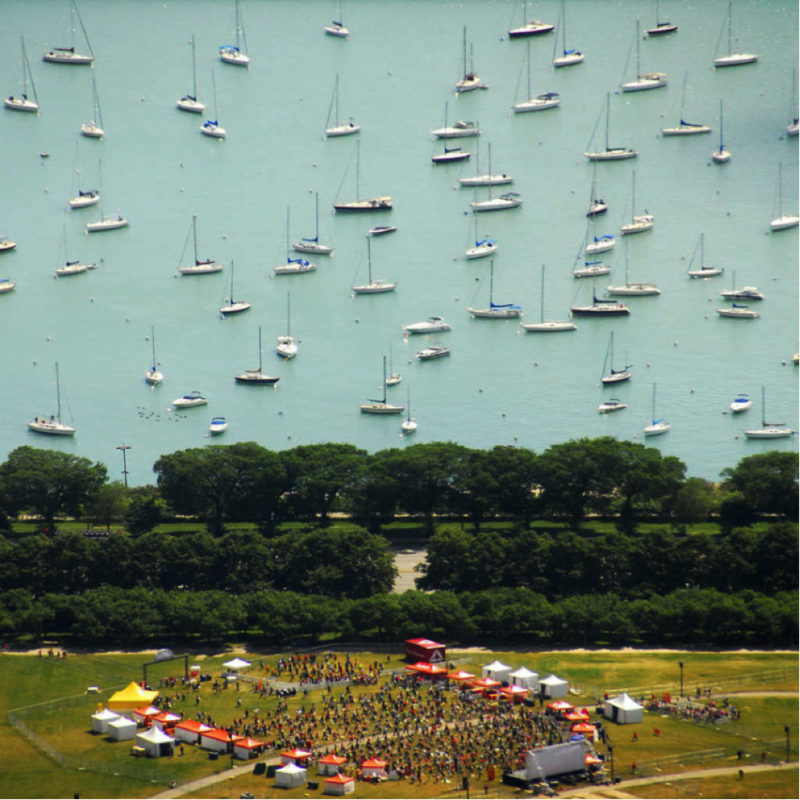 However, we have got a theoretical explanation to the strange floating boats photo in Chicago. 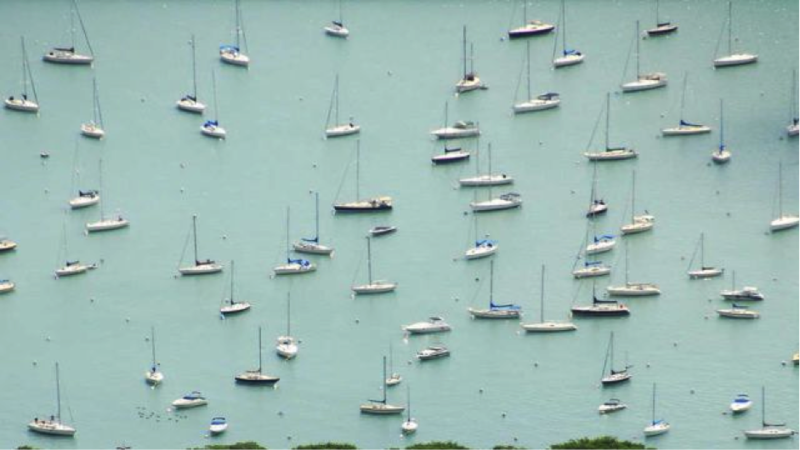 The angle at which the picture is clicked at a harbour in Chicago depicts aplenty boats floating above the ground, in the air. We also see people sitting on the other side of the land for an event. However, throwing blanket to all our superstitious assumptions, the picture is nothing but a camera trick. The photo was first uploaded in Reddit, an entertainment, social networking site. Let’s find out what Reddit has to say about the picture. Now that’s called eye of a photographer who, through his skills, is able to play mind games. 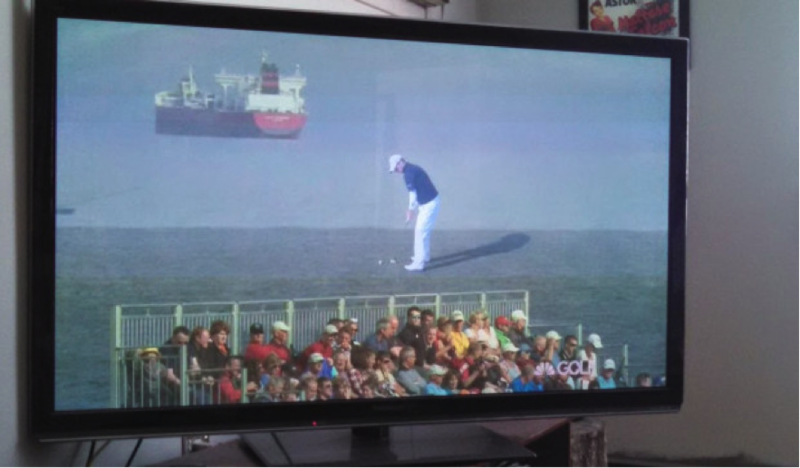 However, find below similar looking photo of a TV broadcast of a golf tournament where the angle of the shot projects a giant golfer standing on water and a ship afar, floating in the sky.